Some network routers support guest networks — a type of small local network designed for use by temporary visitors. Does Your Router Support Guest Networking? Some routers support only one guest network while others can run multiple of them at the same time. Dual-band wireless routers often support two — one on the 2.4 GHz band and one on the 5 GHz band. While there is no practical reason why a person needs more than one per band, some Asus RT wireless routers provide for up to six guest networks. When a guest network is active, its devices operate on a separate IP address range from that of other devices. Linksys routers, for example, reserve the address ranges 192.168.3.1-192.168.3.254 and 192.168.33.1-192.168.33.254 for their guests. Log in to the administrator’s interface and activate the guest network feature. Home routers have guest networking disabled by default and normally provide an on/off option to control it. Confirm the network’s name. Guest networks on home wireless routers operate using a different SSID than the router’s primary network. Some home routers automatically set the name of a guest network to be the name of the primary network with a guest suffix, while others allow you to choose your own name. Enter Wi-Fi security settings. Home routers support using different security passwords (or keys or passphrases) between the guest and primary networks. For example, some Linksys routers use a special default password of “guest” for logging into their guest networks. Change the default settings and choose passwords that are easy enough to remember and share with friends, but not too easy for nosy neighbors to guess. Enable other security options as needed. Home routers can restrict the guest network’s access to either the internet or the local home network resources (file shares and printers). Some routers only allow guest access to the internet connection and not to the local network, while others make it an option. If your router has the option, consider enabling guests to only use the internet. For example, some Netgear routers provide a checkbox for administrators to Allow guests to see each other and access my local network — leaving that box unchecked blocks them from reaching local resources but still allow them to get online through the shared internet connection. Confirm the maximum number of allowed guests. Home routers often place a configurable limit on how many devices can join a guest network. (Note that this setting represents a number of devices, not people.) Set this limit to a low number if you are concerned about too many visitors hopping onto your nternet connection at the same time. Joining a home guest wireless network works similarly as connecting to a public Wi-Fi hotspot. A member of the household must provide the network’s name (particularly if they are not using SSID broadcast) and provide the security password. Be polite and ask before trying to join someone’s guest network. 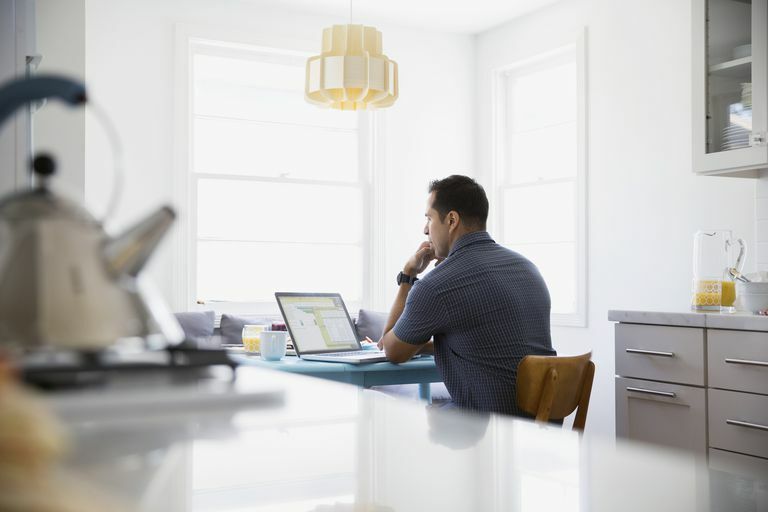 If you plan to be heavily using the internet connection, tell the homeowners in advance. Some home routers allow the administrator to set a time limit for how long a guest device is allowed to stay connected. If your guest connection suddenly stops working, check with the homeowner because it may be a problem only on the guest side of the network. Guest networking provides a way for users to access someone else’s larger network with limited permission. They are often operated by businesses but have become more common on home networks also. In home networking, a guest network is a local network (a subnet) controlled by the same router that controls its primary local network. Guest networks improve network security. With a home guest network, for example, you can give friends access to your Internet connection without sharing your Wi-Fi password and also strictly limit what information inside your home network that they can see. They also keep the primary network protected from network worms that could otherwise be spread to other computers if a visitor plugs in an infected device.